This here is an interesting news for Reddit users. 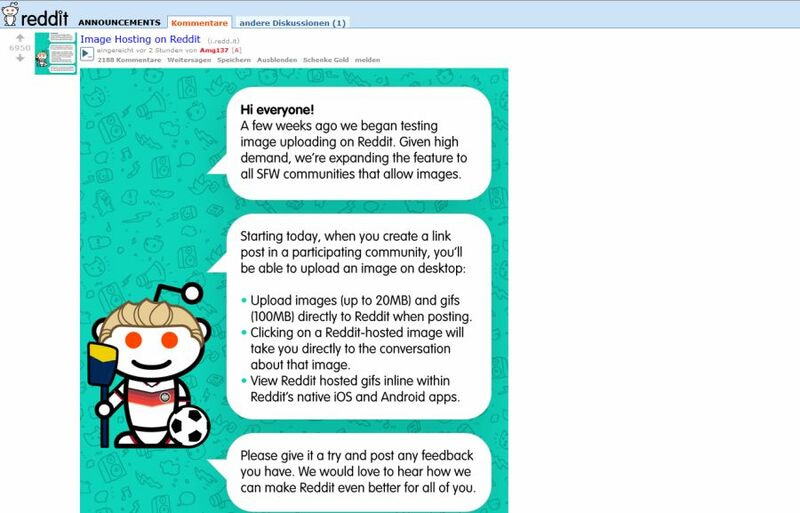 Reddit started to experiment with image hosting a while ago, it was possible to upload images in some subreddit communities. Today they announced that the feature will now be expanded to all other safe for work communities due to the fact that there is high demand. So, since today the feature is fully integrated in all other communities that are safe for work. Starting today you will be able to upload images of up to 20 MB or gif files of up to 100 MB. Check this link to see how it looks in action, or try it out right away on Reddit.